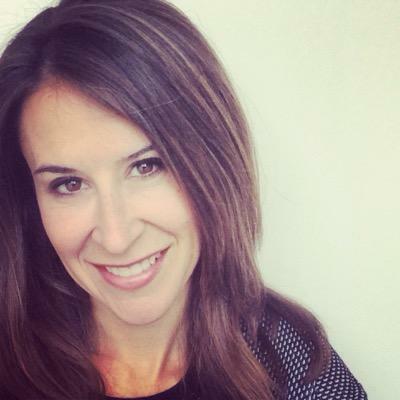 ALLISON WINN SCOTCH on Self-Publishing + THEORY OF OPPOSITES GIVEAWAY! I first connected with the lovely Allison Winn Scotch via her site, ASK ALLISON, a blog that gave you the real scoop on book publishing way before it was cool to do so. (And is still an amazing resource. Go check it out!) A fellow journalist-turned-author, Allison is one of the kindest, most generous writers I know — and she has a lot of smart things to say. The author of books like THE DEPARTMENT OF LOST & FOUND, TIME OF MY LIFE, THE ONE THAT I WANT, THE SONG REMAINS THE SAME, and her most recent, THE THEORY OF OPPOSITES, she’s done both the traditional and self-pubbed thing. So we caught up with her to ask her about her experiences shifting from one arena to the other. And as always, she was super-insightful! You were traditionally pubbed for many books. What inspired the shift? Yes, I traditionally published my first four books – I started at HarperCollins, moved to Random House for my second and third, then to Putnam for my fourth. Most of this moving around was not necessarily by choice. Well, it was by choice in that I opted to switch, but I lost my original editor for each and every book, and at Random House, my imprint was shuttered right on the cusp of my third book’s pub date. I’d hoped that Putnam would be my final landing place, and then my editor left there too before my book was published. Oy. As I approached the publication of my fifth book, I had grown weary with the turmoil and unrest that I’d gone through in the traditional route. To be honest, I just couldn’t stomach the lack of control (and disappointment it brought) again. I also wanted to try to write and publish this book just for me, to regain the enjoyment that I once had about writing and publishing and all that goes along with it. I didn’t feel like I had much left to prove – in terms of, I guess, sales and advances and all of the things that the traditional world concerns itself with – and just wanted to do something on my own terms. I also have a bit of an entrepreneurial spirit and looked forward to challenging myself to learn new things and see what I could pull off. The thought of doing it on my own, rather than relying on others, was really reinvigorating to me….prior to writing THE THEORY OF OPPOSITES, I honestly thought that I was done writing fiction. I realized that it wasn’t the writing or the fiction that I dreaded, it was the publication and editorial process that came along with it. So…I leapt into the self-publishing world. I was terrified. Not that I couldn’t pull it off but rather very few traditionally-published authors in my genre had done so, and I wasn’t sure how I would be perceived. But I decided that it didn’t matter. I wanted to do this for me, and once I made my mind up, I felt truly liberated. Because I’d been through the system many times, I knew exactly what paces I had to put the book through. I hired a team of people who replaced the team I’d have had assigned to me at a publisher: an editor, a jacket designer (the one who had done my books for Random House), a copy editor, a publicist, the same printer that publishers use, etc. I knew that if I was going to do this, it had to be done RIGHT. There were no short cuts, no quickie instant gratification routes. I treated THEORY exactly as it would have been treated at a publisher, and I think that was critical, both in terms of how proud I am of it, and in terms of its success. We sold film rights early on, which surely helped sales and word-of-mouth, but we also sold a lot of subsidiary rights: foreign, large-print, audio. I attribute these sales to how seriously I took the process. Honestly, the most challenging aspect was taking the mental leap and deciding to do it. Self-publishing, for better or for worse, still has an air of “amateur hour” about it to many people in the world where I come from, and sure, I wondered who would be murmuring behind my back. Then I decided: WHO CARES?? What people thought of my decision couldn’t impact what I thought was best for me and my enjoyment of the process, and ultimately, my enjoyment of writing. Self-publishing brought me back into the career that I love. So I guess I just answered what the most rewarding aspect of it was too. But it wasn’t just that: I LOVED the autonomy of the decision-making process. I wasn’t relying on my imprint to show me covers (that I may or may not have liked), I wasn’t waiting around for the house-assigned publicist to tell me who was or wasn’t interested in coverage. I bought ad space. I hired a publicist I knew. I could lower or raise the price of the book to see what sold more. I could run promos; I could set the pub date that I thought would position me best in the marketplace. I mean…there were so many decisions that I no longer had to leave to others. This sort of decision making is NOT for everyone, but it is for me, and I found all of it really rewarding. That the book sold really well – and when we announced the movie deal, and Entertainment Weekly and Deadline Hollywood picked it up – well, honestly, I was moved. It sort of proved to me that sometimes, you just have to take a leap and trust that you will land on your feet. THAT was the ultimate in rewarding. What three pieces of advice would you offer to an author who is considering going the self-publishing route? For publishing overall? Well, here’s where I become a party-pooper. I do NOT advise first-time authors to self-publish, unless perhaps, they write genre books that sell well in the self-published space (romance, erotica, etc). It is so, so, so, SO hard to get a traditionally published book attention…imagine doing this all on your own. The break-out books that you hear about anomalies…which is why you hear about them in the first place. I think I was able to have success with it because I wasn’t an unknown quantity to readers AND I knew what had to be done, because I’d been through it four times prior, to put together a 100% professional product. So that’s one thing. If you’re opting to self-publish, however, I think you really have to know yourself. Self-publishing (and publishing in general) is a BUSINESS. You have to run your book publication like one. You have to do your research – and I did A LOT. There is a huge learning curve that is so different than the traditional route where you pass your book off, and everyone else then does the work for you. Be ready to roll up your sleeves and DO THE WORK. DO NOT RUSH your book because you want it out in the world. This is probably the biggest mistake of self-pubbers. Revise your book at least five times. Probably more. Hire an editor: you are not objective enough to judge your own work. Take it seriously. Self-publishing correctly is SO much more than uploading your book to Amazon. (I think that is more than three things, but oh well!) 🙂 I guess my overall feeling is that self-publishing can be perceived as a joke, but it’s only a joke if you don’t take it seriously. Also, I really cannot stress the revision process enough. Revise it again, even if it makes you want to throw your laptop out the window. If you were a cocktail, which would you be and why? Hmmm…maybe a mojito? Sweet but tart and tangy with a little bit of kick. Goes down easy but delightful enough to savor. What’s guaranteed to always make you laugh? Boring answer, but my kids. When they aren’t fighting, they are the funniest people I know. Also, our two dogs. My lord, they are insane. 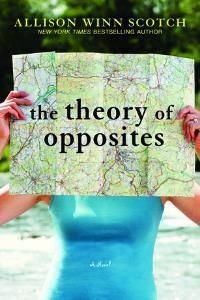 GIVEAWAY: Comment on this post by Noon (EST) on Wednesday, April 22nd to win a copy of THE THEORY OF OPPOSITES! Winner will be announced on Sona’s blog post Thursday, April 23. Follow The Debutante Ball on Facebook and Twitter for extra entries—just mention that you did so in your comments. Good luck! ← Kate Hilton on finding courage, hard work + THE HOLE IN THE MIDDLE giveaway! What a good interview. I’ve never read one of Allison’s book but I think they are all on my TBR list so one day! If I won, that could be the clincher. I follow The Debutantes Ball on FB and Twitter. I love Allison’s books, her wit, her characters, and her tenacity to take that leap of self-publishing (wow!) Whether traditional or self-pubbed, I’m guessing her books will continue to touch hearts everywhere. And I have LOVED the covers of each of her books! The Theory of Opposites sounds like a fun read. I enjoyed the interview. I hope your leg heals very soon! I am a huge fan of Allison’s books so will always read them no matter how they are birthed into the world!! Looking forward to book 6! So much wisdom here. Thank you for sharing, Allison! And good luck with the leg — hope you’re out and about (said with a Canadian accent, so oot and aboot) soon. Would love to read this book and thank you for the giveaway. I already follow you on twitter and just started following you on Facebook! I love mojitos! Your kids are never the “boring” answer. They bring out the playful child in us (as well as our own mothers at times). Solid advice on knowing the business and your own strengths before attempting to self-publish. My favorite piece of advice from you? DO THE WORK. What a fabulous interview. Allison echoes what I have long thought — that it makes more sense for authors who have been traditionally published/vetted to move into the self-published world. I follow on Twitter (@CrytzerFry). Fantastic interview! So much to glean from this! Lovely interview! I loved hearing from Allison about her experience with self publishing especially since she’s also experienced being traditionally published before. I’m in the process of finishing a manuscript and I still haven’t decided what to do but will def take Allison’s advice on not rushing and revising a lot! Interesting review, I´d really love to read this book!